Purchase this product now and earn 4,900 Reward Points! 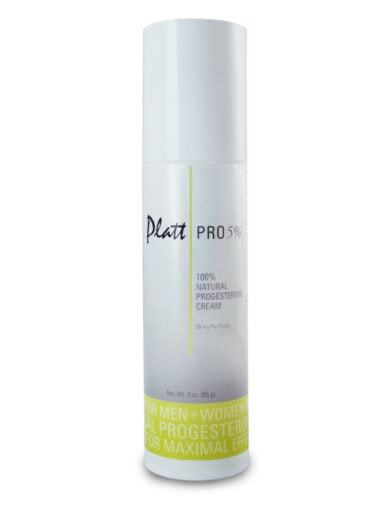 A major benefit of this cream is that it has been specially formulated to provide maximal effectiveness. 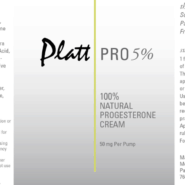 In this regard, it is the strongest progesterone available without a prescription. An advantage of using progesterone in a cream form is that people can adjust the amount they use in accordance with the benefit they are seeking. After awhile, one should notice that they are able to lower the amount originally used. PlattPro has a 5% strength, which means that one pump provides 50 mg of progesterone. To gain insight into some of the actions of progesterone, please refer to the Progesterone information below. 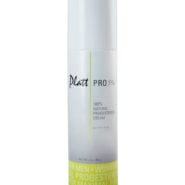 Depending on how PlattPro is used, one bottle should last anywhere from 1-2 months. After it is applied, progesterone only lasts for about 5-6 minutes in the bloodstream because it is so readily picked up by receptor sites. Since it is so short acting, the best time to use progesterone is 1-3 minutes before eating.The most important time of day to use progesterone is before lunch. Insulin levels are the highest in the afternoon, which, of course, is why many people get sleepy between 3-4PM. Please keep in mind that when sugar levels drop, the body will be releasing adrenaline to raise the sugar levels back up. If you have trouble sleeping at night, it is recommended that you eat a low-glycemic carbohydrate just before going to bed. In addition, apply the cream again just before eating your bedtime snack. Please note: Progesterone can effect people differently, so that it is common to have to adjust dosages. In this regard, if the issues you had originally seem to be improved, then you can cut back on the amount or strength of the progesterone and reevaluate. 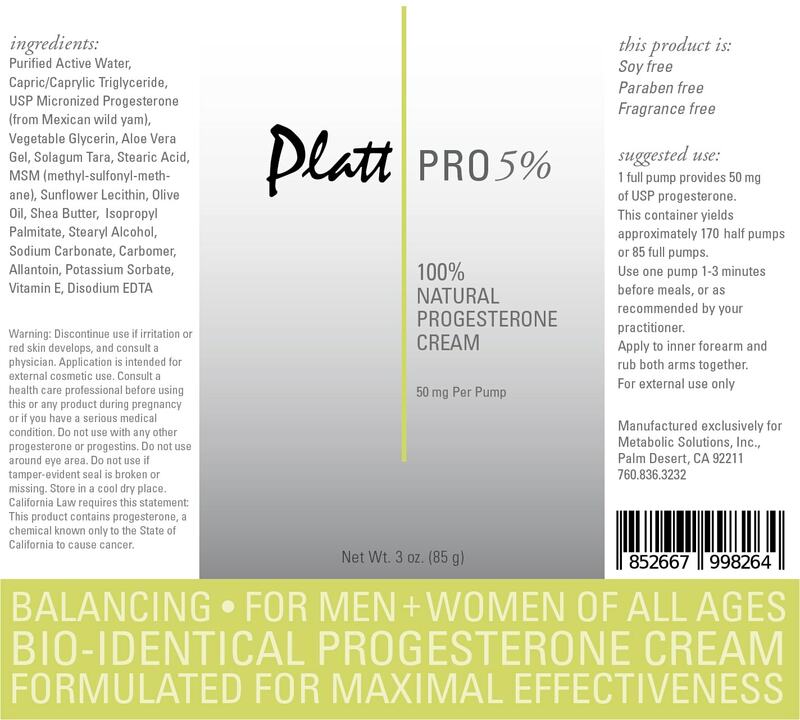 Progesterone provides benefits to both men and women in three major areas. The first area is its well-known effect in women as the hormone that helps block the detrimental effects of estrogen. In this regard, it helps prevent menstrual cramps, breast tenderness, and PMS in those women who are menstruating, along with fibroids, endometriosis, PCOS, and fibrocystic disease of the breast. It also eliminates other problems caused by estrogen such as asthma, migraine headaches, and morning sickness. In addition, it helps to prevent all cancers caused by estrogen, such as cancers of the breast, uterus, ovaries, cervix, colon, and the prostate in men. The second major area of benefit from using progesterone (which is my own personal observation) is the effect it has on insulin. Insulin is a hormone that is associated with the causation of obesity as well as type II diabetes and its many complications. It is a fact that insulin raises blood pressure and is felt to be a major influence in speeding up the aging process. I suspect that progesterone blocks insulin receptor sites on cells, thereby helping to eliminate drops in blood sugar (hypoglycemia). As a result, it prevents sleepiness after eating, between 3 and 4 PM, and while driving. This ability to block the effects of insulin also helps with weight loss. 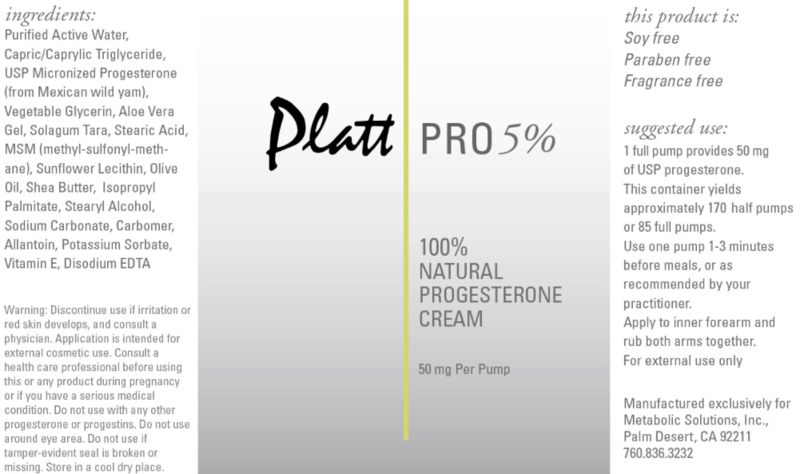 The third major area of benefit of using progesterone is that it appears to block the action and over-production of adrenaline. Adrenaline is popularly known as “the-fight-or-flight” hormone, and excess levels can create anger, road rage, insomnia, restless leg syndrome, and teeth grinding. When anger is internalized, it can lead to depression, anxiety, fibromyalgia, IBS, plus other problems. As a neurotransmitter in the brain, adrenaline can cause the mind to race which can cause problems with focusing – i.e. ADHD, or “brain fog”. It also causes urinary urgency in adults as well as bed-wetting in children. Adrenaline is probably the number one cause of unexplained weight gain. Leg cramps at night are also caused by adrenaline, and can usually be relieved within 30-60 seconds when progesterone is applied to the area of cramping. Other benefits: 1) it can have a significant effect on the lowering of blood pressure, 2) it can help infertile women get pregnant, 3) it can prevent or treat postpartum depression, and 4) it is extremely beneficial for relieving peripheral neuropathy.